I fell in love with the Old Town’s medieval architecture, folklore and friendly people. One of the highlights of my day was a visit to the Estonian Children’s Literature Centre and I blogged in detail about it here. I didn’t think it would take five years to return but I finally returned for a couple of days last week (which still counts as summer). Tallinn hadn’t lost any of its charm but I was surprised at how many visitors were around. On the other hand, my previous visit was in March and there was still snow on the ground in places, which explains fewer tourists. I was keen to revisit the Estonian Children’s Literature Centre and it did not disappoint. There is something very magical and calming about this hidden gem of a gallery/library/children’s centre. Maybe it’s the sweep of the gallery with its high ceilings and windows with the unusual light fixtures overhead. I love that this grand place is for children and THEIR books and art. 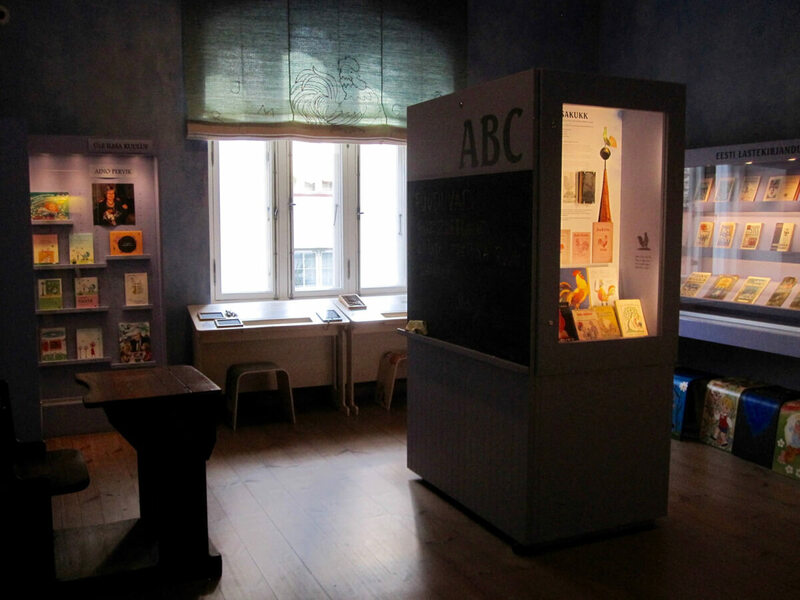 I revisited the carefully organised and beautifully presented exhibition about Estonia’s children’s book history. After so many years of Soviet occupation, these exhibits tell an important story about Estonia’s literature and art for children and young people. 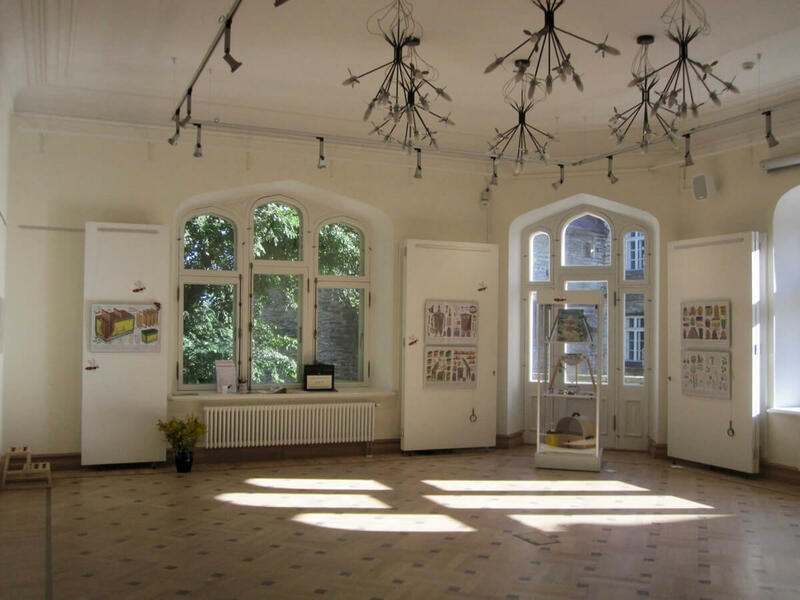 Estonian children’s book historical exhibition. 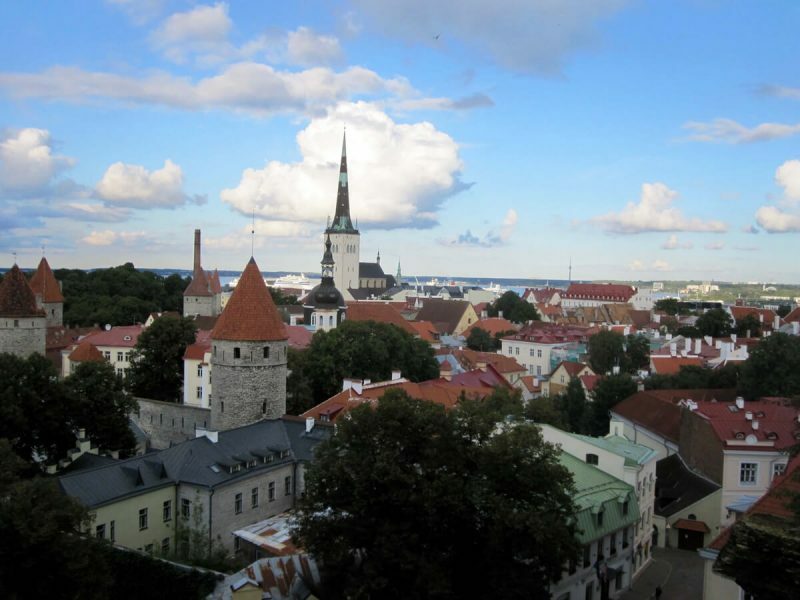 As in 2012, I wandered the cobbled streets, caught the famous view of the Old Town’s spires with the panorama of ferries in the distant harbour and peeped into craft studios, which are ubiquitous in Tallinn. 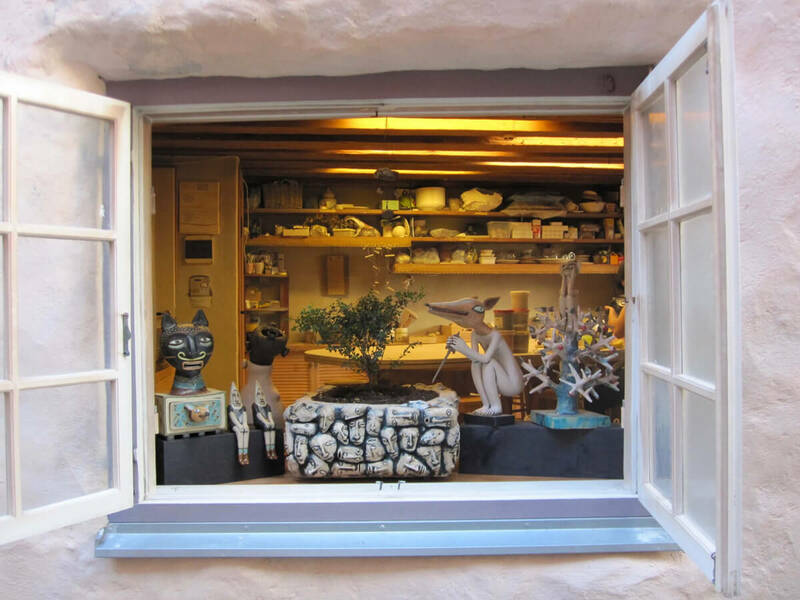 Quirky ceramics in Tallinn’s Old Town. I noticed the shops selling Baltic amber, Russian matryoshka dolls and all sorts of puppets and dolls. There is a quality to these toys in their old fashioned clothes that I love and find touching. It is so far away from the digital world and somehow provides a simple relief from everything that bleeps and flashes. For all these things and many more, I’m still in love with Tallinn. 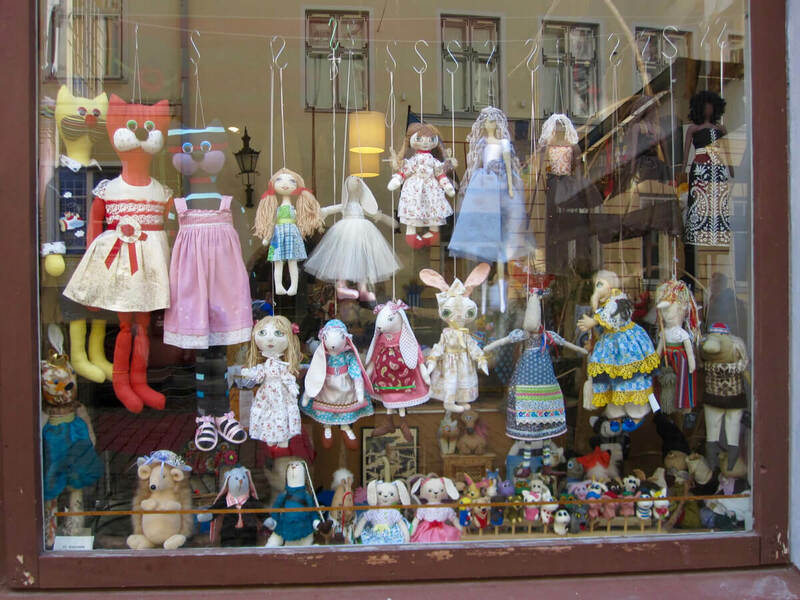 Dolls and creatures in a Tallinn shop window.